The Olympic Peninsula has a lot to offer for the birders out there with over 300 bird species residing within Olympic National Park alone and many more that stop to eat during migration. Three regions are highlighted within the peninsula; the coast, mountains, and rainforest. Each region has its own twist on the birds that can be found living there. The most common birds of the peninsula are the common raven, American crow, winter wren, varied thrush, gray jay, Steller's Jay, blue grouse, ruffed grouse, belted kingfisher and several kinglets, woodpeckers, warblers and sparrows. The outstanding variety of Olympic National Park area's bird population include three accipiters, five woodpeckers, eight owls, and two grouse species. 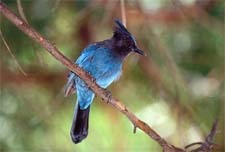 Breeding migrant populations from the Neotropical zone south of Mexico include four flycatcher species, eight warblers, and the Vaux's swift. Waterfowl, such as the sandhill crane and many shorebirds are the highlight of migrations in the spring and fall. The Olympic Peninsula's coast is a critical habitat for millions of birds every year of varying species. Many are residents, whether seasonal or permanent, and many more are just stopping for a rest and something to eat during migration. 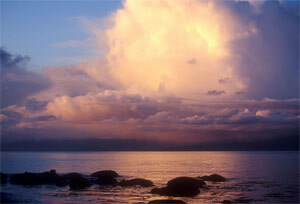 The peninsula is surrounded by coastal waters along the Pacific Ocean and the Strait of Juan de Fuca. Everywhere on the coast are opportunities to view the many migrating and resident birds that rely on the ocean. Hot spots include the Dungeness National Wildlife Park, Ediz Hook (Port Angeles), Sequim, Neah Bay, Cape Alava, Ozette beaches and the Grays Harbor area including the estuary, Ocean Shores and Point Brown jetty. The Pacific Coast area of Grays Harbor is a crucial migratory pit-stop for as many as 300 species, and especially critical for approximately 24 visiting species. Estuaries are ideal places to watch birds and other fauna as well due to the nutrient-rich waters where the fresh waterways meet the salty sea. It is a great source of food for birds due to the fish nurseries that naturally gravitate toward estuarine waters. The varied habitats of the open sea, tidal salt marshes, beaches, the jetty, freshwater ponds, mudflats, open fields and woods along this area of the coast are riddled with feathery friends. . . and enemies. For the most part, the birds uniquely coexist here like nowhere else in the state of Washington. The impressive array of rare birds in this area, as well as shorebirds and several pelagic species who are more accustomed to the open ocean, gather in the vicinity of the Grays Harbor estuary. The excitement in birding is ongoing throughout the year, but late summer and fall can be especially compelling due to the migration of many shorebirds. Black turnstone, wandering tattler, surfbird, rock sandpiper, cormorants, sooty shearwaters, alcids, passing loons and every now and then a pelagic species comes in from beyond the shores. 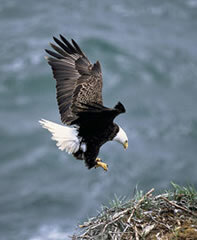 Bald eagles are often perched along the coastal stretches looking down on the rhinoceros auklets, western gulls and many other ocean birds. Peregrine falcons wait for unsuspecting shorebirds on the beaches and swoop down parting a sea of fleeing birds. On the sea stacks and along the shores, look for breeding birds like the tufted puffin, common murre, black oystercatcher and the elusive peregrine falcon. The scene remains relatively similar up the coast where there are similar habitats as near Grays Harbor. As you head north up the coast, be ready to see various waterfowl, including brant. From Cape Alvala and heading east, there are going to be many of the same shorebirds and migrants. Neah Bay, Sequim, Port Angeles and on to Port Townsend where the peninsula ceases are famous areas for birding. The Dungeness National Wildlife Refuge near Sequim is a hot spot that is very popular for visiting and local birders. The Brandt's cormorant and marbled murrelet might be hanging out near here, so be on the lookout. The northeast shores of the Olympic Peninsula, being more placid, have other unique opportunities for birding as well. If you are exploring there, check out the Game Range or Damon Point for marbled godwit, American and Pacific golden-plover, whimbrel, Baird's, pectoral and dowitchers sandpipers around the Salicornia marsh. Horned lark, Lapland longspur, American Pipit, cormorant, grebe, loon, and the palm warbler can be found in the fall and winter. The mountains of Olympic National Park, especially up Hurricane Ridge, are another world of birding. Many birders begin at the Visitor Center at the beginning of the road to Hurricane Ridge. As the road rises in elevation, use pullouts to catch the changing life zone residents. Any time of the year at the lowland Heart of the Hills Campground one might see winter wrens, varied thrushes, and gray jays. Spring brings the songs of Wilson's warblers and Hammond's flycatchers. As you ascend the 5,200 feet, stopping at the turnouts along the way, keep your eyes peeled for pine siskin, common raven, red-breasted nuthatch, golden-crowned kinglet, chestnut-backed chickadee, evening grosbeaks and sometimes the northern pygmy owl. Woodpeckers, blue grouse, sooty grouse, gray jays, winter wren and red crossbills are also good ones to watch out for in the meadows and forests of the park. Summer is the season to see hermit and Swainson's thrush, western tanager, olive-sided flycatcher, Townsend's Solitaire, Townsend's warbler, band-tailed pigeon and Vaux's swift. 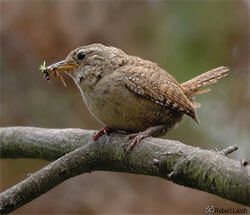 From the montane forest to the subalpine meadows, these birds could be sighted within either life zone. Above the subalpine region, the mountain summits offer summer sightings of the American pipit near the snowline. Upper-elevation hikes offer opportunities to watch hawks. The temperate rainforests of Olympic National Park are another highlight for visiting bird lovers. Due to private timber development near public parklands, there are varied forest stages in many areas near the rainforest as well as established old growth areas. The variation in the development of the lush forests along with plentiful riparian corridors attracts a significant community of birds. Look for western robin, varied thrush, winter wren, gray jay, raven, junco, Clark's nutcracker, blue grouse along with the seldom encountered pileated woodpecker, marbled murrelet and the spotted owl. Your visit to Olympic National Park can be a significant addition to your life list. Areas of the peninsula get up to 14 feet of rain every year, so be prepared for the weather. Wear appropriate clothing that doesn't make noise when you walk and bring plenty of water and food for the voyage. Don't forget your bird identification guide, your binoculars, and your camera.